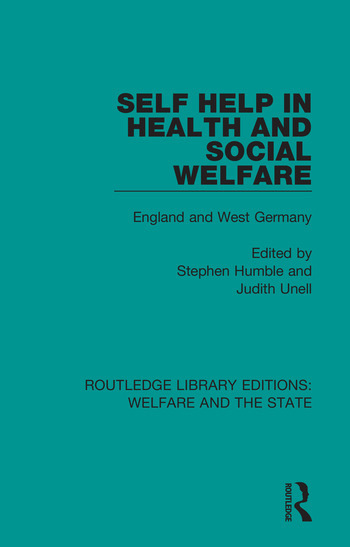 Originally published in 1989, Self Help in Health and Social Welfare looks at the current World Health Organization policy that encourages self-help in health. The book suggests that this can more readily be achieved by international collaboration and exchange of ideas. England and West Germany are both advanced industrialized societies with complex and highly developed health and social welfare systems and resilient voluntary sectors. Much can therefore be learnt by comparing their experiences. This book reports developments and initiatives from these two countries, covering issues such as the institutional context, evaluating self-help, public policy and support for self-help.